Government officials are mooting ways to undermine the report by the Justice Catherine Bamugemereire-led inquiry into land matters. KAMPALA – The Justice Catherine Bamugemereire-led Commission of Inquiry into land matters faces more scrutiny as the fall out from the work of the Commission over the last two years starts to attract public discussion. The Commission is already in spotlight over failure to account for Shs13 billion it received from the Ministry of Finance amid accusations of extravagant expenditure. However, several government officials who have appeared and been harangued before the commission are now quietly looking at a possibility of challenging the Commission’s Final Report, basing on it’s tendency to overstep their mandate and failure to follow rules of natural justice. “She is going beyond her mandate by issuing orders outside terms of reference. She illegally detains people during hearings and will not allow them to go for lunches,” an exasperated government official told PML Daily in the week. The official is one of several that is on the verge of losing their positions based on the recommendations of Justice Bamugemereire’s Interim Report, still kept a secret. 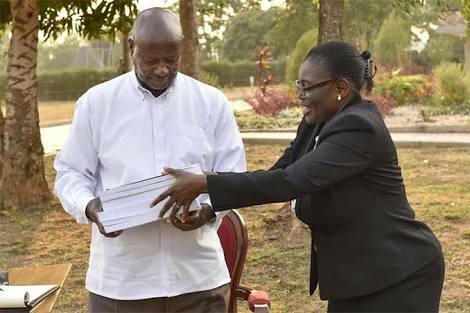 Justice Bamugemereire handed over her Interim Report to President Museveni on February 16, 2018. Justice Bamugemereire earlier this year handed over an interim report to President Museveni who is yet to act on the recomendations. The report constitutes an update to President Museveni on the progress of the inquiry after seven months into the probe. But highly placed government officials have intimated that a discussion was being mooted for aggrieved witnesses to challenge the report, basing on the context of the August 17, 2004 High Court ruling in which Justice John Bosco Katutsi cancelled the Commission of Inquiry report into the Uganda Revenue Authority in enrtireliety after then Commissioner General for Uganda Revenue Authority Annebrit Aslund challenged it, saying she had been mistreated by Justice Julia Ssebutinde when she had appeared to give evidence. The report was subsequently expunged as a public record as ordered by the judge and the government was barred from implementing any of its recommendations. Justice Bamugemereire, who leads the seven-member Commission set up in 2016 to look into the effectiveness of the law and processes of land acquisition, administration, management and registration in Uganda following increasing land conflicts finds her self glaring at such a possible action, as the public gathers guts to question her excessive use of authority. 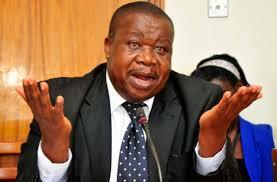 Minister Kahinda Otafiire has not been spared questioning by the commission. Her Commission which effectively began work on May 3, 2017, has questioned several government and private businessmen including – Ministers Kahinda Otafiire, Ronald Kibuule, Charles Bakkabulindi, Fredrick Gume Ngobi, and officials – former Inspector General of Police Kale Kayihura, former Commissioner for Land registration Sarah Kulata, Current Commissioner for Land Registration Robert Opio, Chief Government Valuer Gilbert Kerimundu, and the Undersecretary for Uganda Land Commission Albert Mugumya. 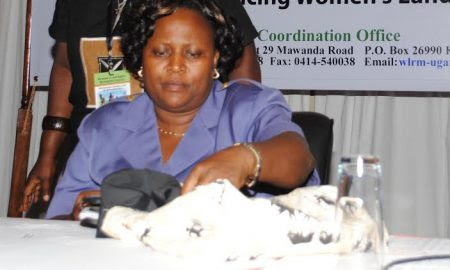 Former commissioner Land Registration at the ministry of Land, Sarah Kulata has faced the commission over her role in give away of city schools land. She has also questioned Kampala businessmen Abid Alam and Ephraim Ntanganda with Mr Alam detained severally over a land wrangle in Kiboga. Justice Bamugemereire has also detained several land registers and questioned a one Harriet Aber, who is known to be a wife of a powerful general over her involvement in land conflicts in Northern Uganda. 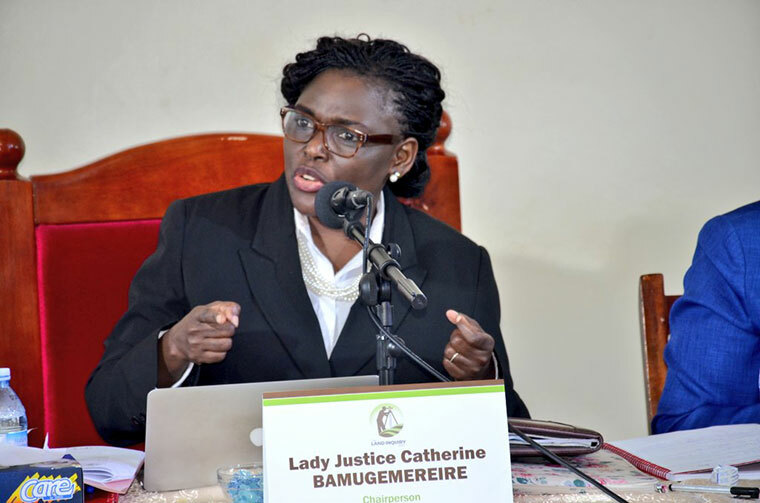 Some of the powerful government officials and individuals connected to government lawyers are preparing to challenge Justice Bamugereire and have identified her conduct of the hearings as a major area of challenge. Already, scholars have even questioned the basis of Justice bamugemereire’s report as a futile exercise. A one-year investigation by Makerere University’s Human Rights and Peace Centre (HURIPEC) between November 2016 and October 2017 concludes that the land question is essentially a product of the political economy of a country. According to a report, which is compiled by Prof Joe Oloka-Onyango, a constitutional law lecturer at Makerere University, whereas the Justice Catherine Bamugemereire-led commission could be a worth-while effort, it is highly questionable whether the findings and recommendations of the commission will fundamentally alter the existential crisis represented by the NRM rule and the historical legacy of the colonial era, coupled with failed attempts at land reform by the early post-colonial governments. “While the public hearings of the commission have done much to expose the shenanigans of land “sharks” aided by a network of officially-connected and sanctioned individuals and groups, the fact is that it will do little to transform the coextensive system of patronage and the mechanisms of political control and dominance which have led to the crisis in the first instance,” the report reads. The seven-member Commission was set up in 2016 to look into the effectiveness of the law and processes of land acquisition, administration, management and registration in Uganda following increasing land conflicts. They effectively began work on May 3, 2017. Sources told this website that Mr Muhakanizi has refused to extend more money to the Commission until they account for the Shs13 billion. About two weeks ago, sources said Mr Muhakanizi, who is also the Secretary to the Treasury, blocked a request from the Commission for more Shs7 billion, until they provide accountability. Ministry of Finance spokesperson Jimmy Mugunga confirmed blocking the request, saying the request for additional funding lacked supporting documents. This comes amid revelations of the huge allowances that the Commission officials receive. Sources said the commissioners are paid about $200 (about Shs720,000) per sitting and $690 (about Shs2.5m) per day whenever they travel abroad. The team has already been to Ghana, United Kingdom, and South Africa. 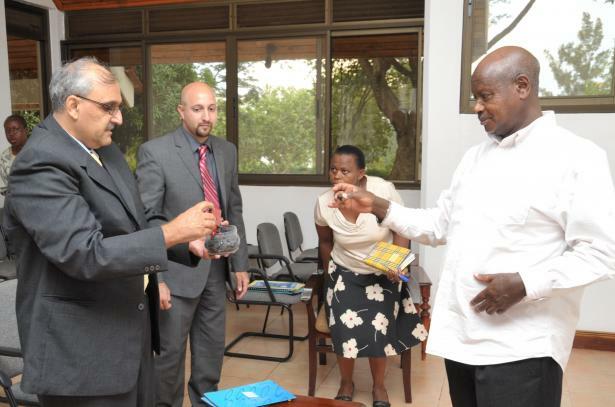 In each country, they have spent about seven days, which translates into about Shs470m for the seven commissioners.